Notes: Honeoye Falls Distillery is one of the newer distilleries in the Rochester and Finger Lakes area, having just celebrated their third year anniversary on August 13th of 2018. Located about 30 minutes south of Rochester it is nestled in the hill and drumlins of the Finger Lakes area and draws its water from the nearby Finger Lakes of Canadice and Hemlock Lakes ( both of whom are water supplies also for the city of Rochester and known for the taste and purity of their water. They use a second generation ( as I call it, as significant improvements have been made over the first models) Artisan Still Works stainless steel steam fired still with a column and copper inserts. 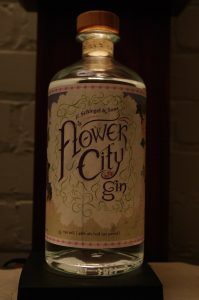 Flower City Gin is a new venture for Honeoye Falls on a number of fronts, First, it is a London Dry type of gin, in contrast to their New World Gin series, the Devils Bathtub Gins. 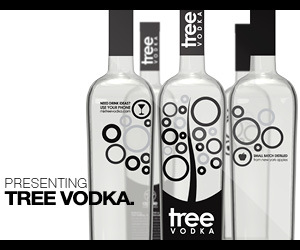 Second, it is made using a Corn GNS (Grain Neutral Spirit) which is not made by them and sourced from someone else. This is done for reasons of economy, and while looked down upon by purists, the economics are hard to argue with. Making a base spirit is time-consuming, expensive, and hard to do. Using GNS for a gin base is not unusual as it can be more neutral allowing a distiller a cleaner, more neutral palette to work from if that is their intention. Appearance: Silvery and clear, Flower City Gin leaves a thin coat on the glass when swirledEvenually a lot of droplets stay put, an indication of proof. First Impression: Nicely gin like in a Juniper kind of way without being overwhelming, cardamom, grains of paradise, whiffs of fennel and anise. 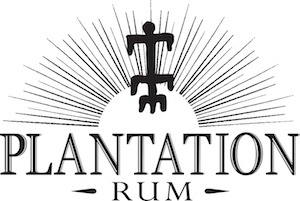 The bouquet is light but flavorful, with a fair amount of citrus that blends nicely with the juniper and herbal notes. Taste: Light entry, somewhat on the sweet side with the Juniper and citrus making for a nicely aromatic taste and a mild nip on the tongue and a little lingering but then gone. Drinks: Great for most standard gin drinks with a lighter body and mouthfeel than many. A great gateway fin for people who have juniper issues while not being to far afield from a London Dry. Bottle: An interesting and refreshing departure from their usual apothecary bell jar. The label is shooting for a Belle Epoque look I am guessing, with attractive graphics. Composite cork with a wooden top makes for easy opening and good seal. Other: While I may not agree with a using GNS I cannot argue with the price. Final Thoughts: Closer to a London Dry style while retaining local charm and sensibilities. A well laid out and fast loading site with easy navigation and a fair amount of information. It needs updating in a few places but is a well-done site overall if a bit minimal compared to some.